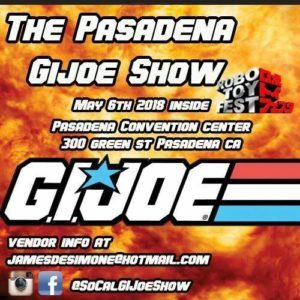 Protoculture Con is pleased to partner with Robo Toy Fest / Brick Boutique and the Pasadena GI Joe Show. We feel that working with this well established event will have benefits for attendees of both. I mean, we get a built in dealer’s room for our event, and they get a crowd of people who are definitely interested in Robot Toys! Win win! No doubt this will also allow us to attract more guests and vendors than we would have done alone. I know it’s too late for this year’s guest appearance? But, I thought I would at least ask?? Are you still looking for last guest for your event to make a real special event?? Hello, my name is Rika Muranaka and I’m AAA video game music composer for past 20 years! I worked closely to Mr. Hideo Kojima for Metal Gear Solid Series and as music producer for whole entire series from MGS 1 to MGS 4. I also worked first Silent Hill with Akira Yamaoka and Castlevania Symphony of the night. this is a recent article and the place I was attending with David Hayter and Cam Clarke. Rika, We would love to have you as a guest but unfortunately this is a single series convention. We are only inviting guests who worked on the series Robotech. However, I will definitely keep you in mind for future cons. Year Two is a GO!